Many beginning Trainers gather in this city to start a Pokémon journey. Interactive Map Location of Vipik City in Torren. Vipik City is a city located in the southeastern Torren region. It is the hometown of the second Gym Leader, Xavier. A dump disrupts its otherwise peaceful atmosphere. 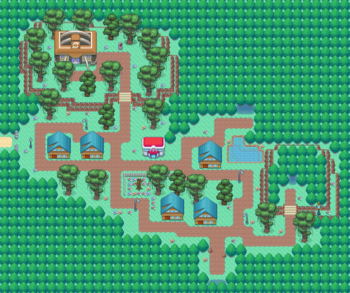 Exploring the city reveals that the exit to the Crossroads as well as the entrance to the Vipik Dump are currently inaccessible, which leaves the player to take on the gym in the northwest. Before entering the gym, the player has a brief discussion with Damian that an Abyssal Cultist overhears. After Damian finishes speaking, enter the gym. As the player walks down from the Vipik Gym, a Hiker approaches the player informing them that the Abyssal Cultists have taken Damian into the Vipik Dump. Since the path southward to the Crossroads remains blocked, the player has no choice but to enter the dump. Exit the city by entering the Crossroads. On the second floor of the house furthest to the left, there is a man who has developed a chemical that accelerates the hatching process of Pokémon eggs. He can apply this chemical to the player's eggs, removing one step needed to hatch the egg for every 1 that the player pays him. 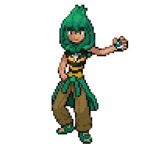 The Vipik Gym is the official Gym of Vipik City, whose Gym Leader, Xavier, specializes in mainly Bug-type Pokémon. Trainers who defeat him are awarded the Stinger Badge, as well as TM76 (Venoshock) as a reward. Several inhabitants of the city complain about the smell of trash coming from Vipik City's dump, located in the eastern part of the city. While the guards standing in front of the dump seem to believe it's too hazardous for a person of the player's age to enter, they don't deter the player from entering once a certain group starts to stir up mischief from inside the dump. Though there is a pond in the eastern part of the city, no wild Pokémon appear in it. A Waiter in the house to the left of the Pokémon Center is willing to trade his Sneasel for the player's Floette. A man on the second floor of the house below the Pokémon Center will sell a Togepi egg to the player for 2,500. This page was last edited on 19 January 2018, at 05:55.